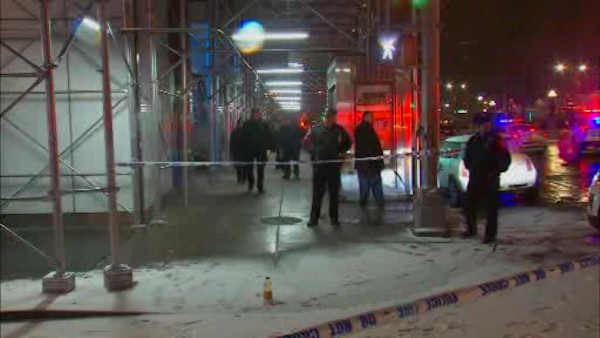 MIDTOWN, MANHATTAN (WABC) -- Police are searching for a gunman after a fatal shooting in Midtown Manhattan Saturday morning. At about 2:20 a.m., police responded to a 911 call of a male shot at the corner of West 40th Street & 6th Avenue. Officers found a 27-year-old man with a gunshot wound to his torso unconscious and unresponsive. The man's identity has not yet been released. There have been no arrests.